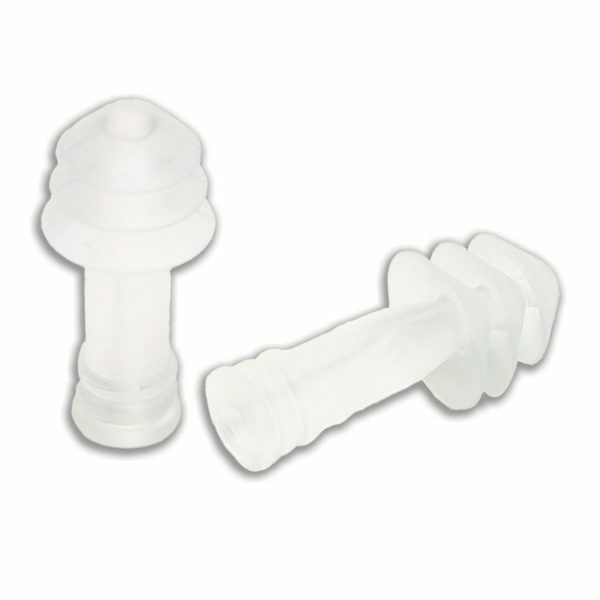 This reusable soft, silicone earplug has been specially developed with a unique triple-flange, conical design, to ensure an ergonomic perfect fit that slides easily into your ear. Mack’s AquaBlock Ear Plugs are super comfortable, but best of all they seal off your ear to keep out all water! 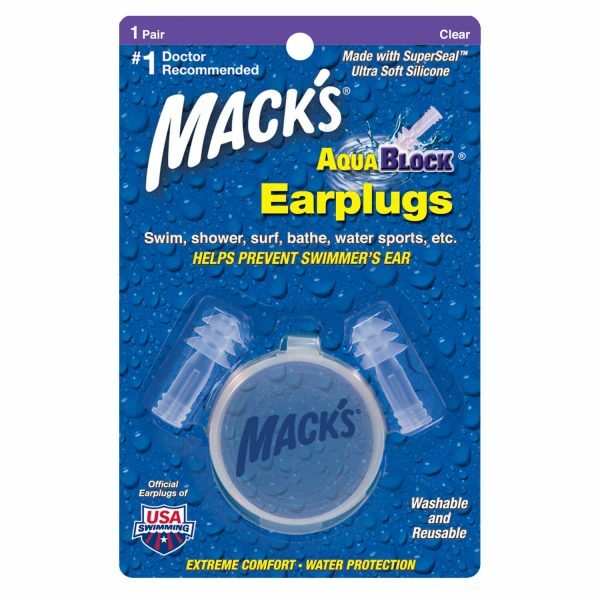 Perfect for children and adults wanting to keep water from their ears whilst swimming, surfing, sailing, jet skiing, or any other fun activity involving water. Available now with a FREE hard plastic carry case so that you don’t lose them at the beach or the pool. 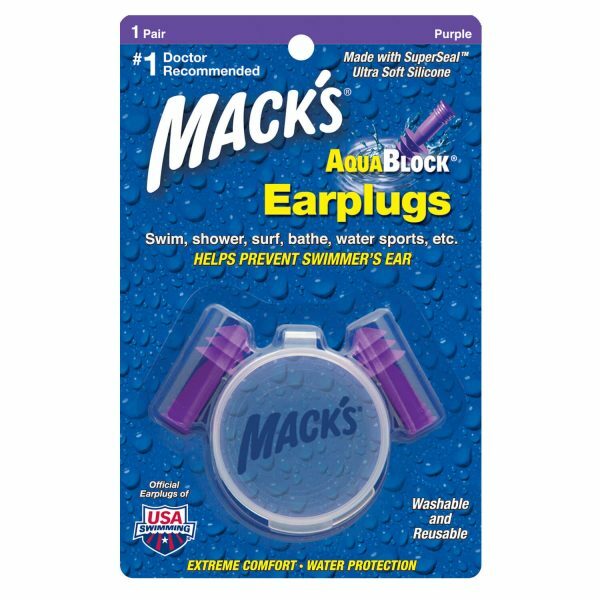 AquaBlocks are a definitely a favourite ear plug of many Ear Store customers. “Swimmers Ear” as it is so commonly referred to is an infection in the outer ear caused by your ears becoming water logged and water becoming trapped in your ears. Ear infections can be very painful, especially in children. 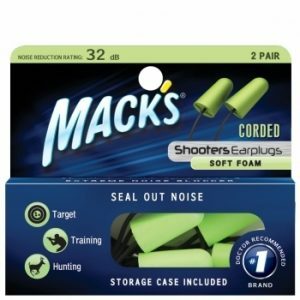 The best prevention is Ear Plugs. Be it for swimming, surfing, bathing, sailing, water aerobics, jet skiing, kayaking, snorkelling or any water sport fun. The main objective of the AquaBlock Ear Plug is to comfortably block out all water from entering the ear allowing you to stay in the water for a long time. This is one of the reasnos they are favoured by surfers. Mack’s® AquaBlock® have been created with the sole purpose of protecting your ears from water whilst being easy to use and comfortable to wear. Made from super soft, medical grade silicone, the The Unique Flex Stem™ pre-moulded triple flanged earplug has been specially designed to create a customised fit. SINGLE PAIR WITH FREE CASE! 100% Waterproof Design & Protection to keep Water OUT! Super Easy to Wear, Fit & Remove. Ear Store also stocks a very popular kids size, soft mouldable silicone earplug for children, especially designed for swimming. Please see here for more information. I am in the water pretty much every day of the week. Swimming squad or surfing. From years of surfing and sailing I have got “surfers ear” ever since I have worn earplugs. These do a good job at doing what they are supposed to do & I feel confident wearing them knowing this. 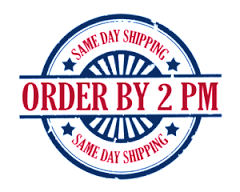 I find these very effective at doing what they are supposed to do – keep the water out. They are not uncomfortable under my cap, nor do they fall out. I’ve had this trouble with another brand in the past. I like that they are reusable & inexpensive. I keep spare pairs everywhere so that I’m not left without a pair before I jump in the pool. I use these for surfing. 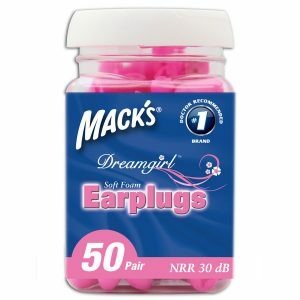 I have tried many types of ear plugs, they all fall out way too quickly (I surf) and end up too expensive. These stay in ( I trim the handle to make it shorter) You can’t hear much in the water but at this price for plugs that will stay in for 20+ surfs, I can’t beat it. These are so soft & comfortable, easy to put in correctly and easy to grasp, remove, & clean; and most importantly, very, very effective at keeping out water. Reading reviews by people who surf & water-ski made up my mind to try these, and I am very pleased with them…and I can finally swim with no reservations.